The challenges for Week 3 are a little different than what we’ve come to expect. 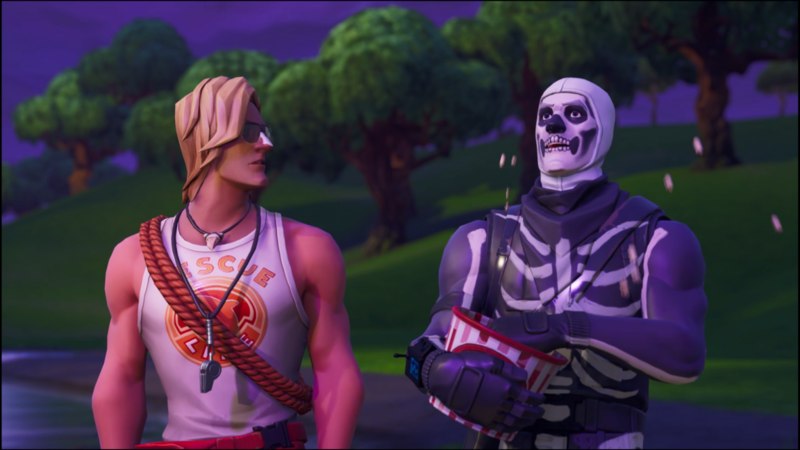 These challenges are quite difficult by Fortnite’s usual standards, and you also have the Fortnitemares challenges to contend with. For this challenge, you’ll need to revive five players in five different matches. Start by finding the chest in Lonely Lodge, then head to Retail Row, Snobby Shores, Fatal Fields and Pleasant Park to complete all five stages of this challenge. Kill a player using a Damage Trap. Pretty simple if you can lure someone into your web of deceptions and death. Visit Risky Reels and Wailing Woods in a single match, Dusty Divot and Paradise Palms in another and then Greasy Grove and Leaky Lake to complete all three stages. You’ll need to throw a tomato at an opponent from 15m away – easy peasy! There are a number of timed trials dotted around the map and they need some precise work to pull off successfully. You’ll need to complete three in total to earn 10 Battle Stars. Follow the link above to see a full map and locations. In this final challenge, you must defeat 10 opponents, each in different matches.